Shah Rukh Khan’s starrer movie was released on last Friday in India and throughout the world. But the magic of King Khan doesn’t seem to be working anymore in the industry. The movie was expected to beat movies like Bajrangi Bhaijaan and Happy New year during the last weekend, but FAN Opening collection was much behind the average earnings of Salman Khan films. While many political party supporters believe that it’s the outcome of calling India ‘Intolerant,’ however, Superstar Shah Rukh Khan had denied such allegations and gave clear statement that he actually loves his country. The movie is doing a great business in the overseas market; some trade analysts believe that 1980s kids who used to love SRK movies reside in the foreign nations. As a result, they couldn’t afford to miss the screening of FAN. The film has a 5-day total of 64.20 cr nett which means the film is heading for 73 cr nett 1st week. In the overseas market, the movie earned 2.7 million $ (17.93 cr) on opening day and massive 6.01 million $ (40.01 cr) over the weekend including opening day collections. Film has crossed 110 cr nett worldwide and no matter what happens at the domestic box office; SRK continues to blaze brightly in overseas. Most of the theaters in Delhi and Mumbai had around 60% of occupancy advance booked for the FAN Movie, whereas a great craze for Shah Rukh Khan’s movie can be seen in Dubai and UK too. Salman’s Bajrangi Bhaijaan had around 70% occupancy as advanced booking. The movie was released on 3500 screens throughout the country which was dropped to around 65% after the first weekend, and the overseas screening continues to happen. The major countries creating massive impression includes UAE, USA, and European countries. Fans of Shah Rukh Khan backs their superstar after saying that the movie was much better than ‘Dilwale’ and ‘Happy New Year’ and a masterpiece in itself. 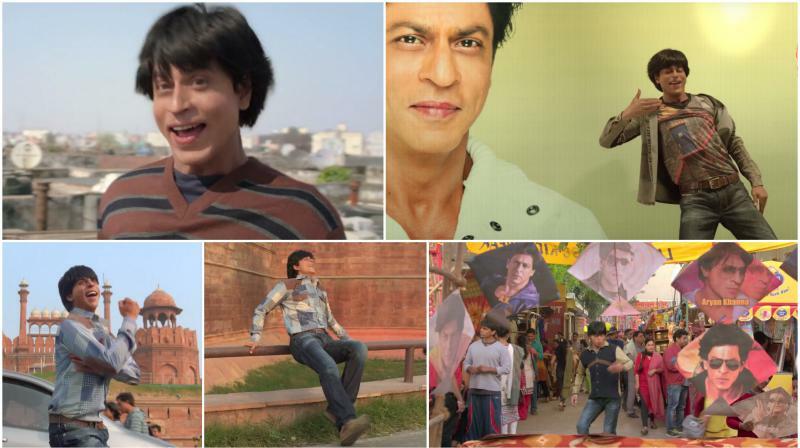 The main thing which had impressed the fans was SRK’s acting as his own Fan in the movie. The other important fact includes, despite getting released on over 3500 screens, the movie didn’t had great songs and hence have limited resources to meet its actual demands. Future of King Khan’s Raees is also on risk after this much underperformance. Stay tuned with The Reporter Times for more box office updates about Fan Collections. FAN IS A MASTERPIECE.IT RAISED THE HIGHTS OF BOLLYWOOD.IT IS BETTER THAN BAJRANGI BHAIJAAN.FAN IS THE BEST BOLLWOOD FILM EVER. FAN IS VOW MOVIE, REALLY SHAH RUKH KHAN ALWAYS BEST AMONG ACTORS. NO MATTER HOW MUCH COLLECTION IS THERE, I ALWAYS WATCH ACTING OF AN ACTOR. HIS EVERY MOVIE IS DIFFERENT WITH DIFFERENT ACTING. HIS ALL MOVIES ARE LIKE ADVENTUROUS TO SEE.